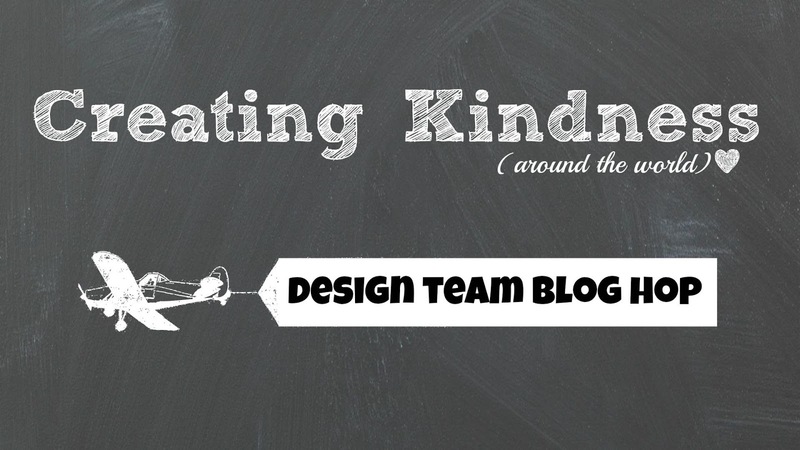 Today I'm hopping with the Creating Kindness Design Team & our theme is Because We Care / Charity. I have decided to make a bunch of Christmas cards for the residents at the local Aged Care community center - Drysdale Grove Aged Care. 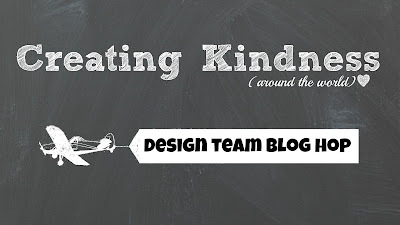 This month's Guest Designer is Stesha Bloodhart! So glad you're hopping with us Stesha! I have used the two largest scalloped circle dies from the Layering Circles Framelits to cut out the sentiment & Copper Foil, & I have placed a piece of Emerald Envy Crinkle Ribbon between the two circles, attaching it at the back with Fast Fuse. I have stamped the wreath in Lemon Lime Twist & again in Emerald Envy. I have copper heat embossed the sentiment. I have coloured in the bow & berries in Light & Dark Rich Razzelberry Stampin' Blends & I have added the Berry Burst Glitter Dots where the ornaments are hanging on the wreath. I have stamped the inside of the card in Lemon Lime Twist, Emerald Envy & Berry Burst. All sentiments & images shown on this card are from the Feeling of Christmas stamp set. 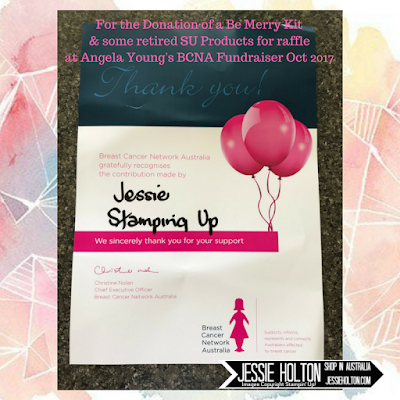 I think this seems like a good time to share this certificate I received from the Breast Cancer Network Australia for my donation of a Be Merry Kit & some retired products to my friend Angela's fundraiser. I have donated to a few fundraisers before, but this is the first certificate of recognition that I have received.